Surely a Davis Cup champion is not meant to struggle like this, not against seriously weakened opposition. The odds are still heavily on Switzerland pulling through this Davis Cup World Group play-off, but their Dutch opponents are making them fight every inch of the way. Before this tie began, Jan Siemerink, the Netherlands captain, said he expected his team to lose but if they did he wanted them to go down fighting. They have not disappointed him. Indeed it would be no stretch of the imagination to say that the Dutch could now be 2-1 up instead of 2-1 down. Thiemo de Bakker had led Stanislas Wawrinka for much of the three hours and nine minutes of the opening rubber on Friday only to falter when in sight of the finish. He was not about to make the same mistake a second time in the doubles on Saturday. 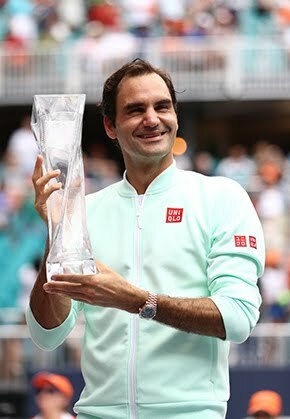 At two sets to one down it was the reverse of his singles match, but this time, alongside Matwe Middelkoop, he showed a steady nerve as well as great resilience to beat Roger Federer and Marco Chiudinelli 7-6(7), 4-6, 4-6, 6-4, 6-1 and take this tie to the final day. Middelkoop and de Bakker saved 11 of 13 break points. 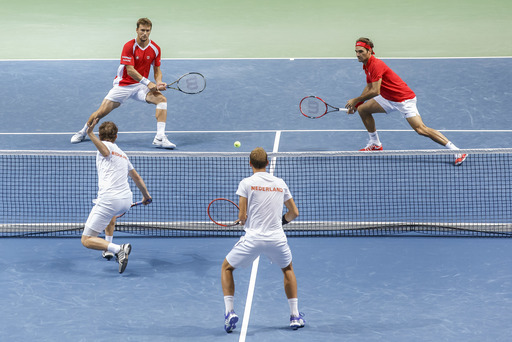 The fact that it was the first time the two Swiss players had played together in the Davis Cup was no excuse; de Bakker and Middelkoop had never played together at all. “The first time,” said Middelkoop. “And the last time,” joked de Bakker. 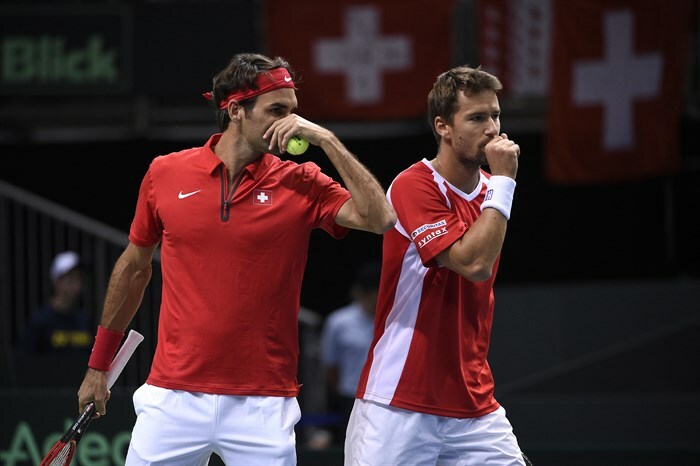 The Swiss team had all agreed that the 2008 Beijing Olympics gold-medal winning partnership of Federer and Wawrinka should be temporarily broken up in order to give the latter some much needed rest, but if Switzerland is to win this tie in four rubbers perhaps it might have been more advisable to rest Federer. The great man has a slight leg strain which needed massage at the end of the third set, but should be fit to face de Bakker, against whom he has not dropped a set in three matches, in the first of Sunday’s reverse singles. Also, of course, de Bakker has now played 10 sets of tennis in 48 hours. Mind you, it was getting pretty sweaty for the Swiss in the fifth set - “a blistering fifth set”, as the Dutch captain called it - with his players racing to a 5-0 lead in winning seven consecutive games. There had been little to separate the two sides for the first four sets, although Switzerland’s first serve percentage clearly let them down in the first set - 54 per cent as against the Netherlands’s 74 per cent. They picked up that percentage dramatically in the second set and by the end of the third seemed to be taking control, but the Dutch were not going to go away. 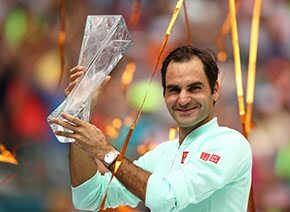 Federer is scheduled to meet de Bakker in Sunday's first reserve singles, with Wawrinka playing Huta Galung in the fifth rubber.